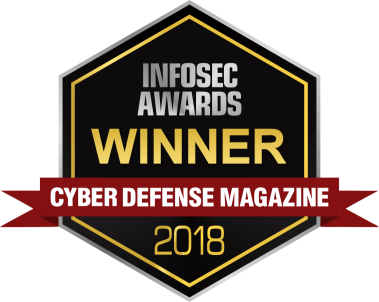 DENVER, CO – April 16, 2018 – Today, Mantix4, a cyber intelligence platform, was awarded the 2018 InfoSec Award for Most Innovative Threat Hunting Platform. The Mantix4 solution provides complete visibility into networks, turning the world of cyber intelligence from reactive to proactive by enabling companies to analyze, hunt, disrupt and neutralize potential cyber attacks. “Cybercrime, Hacktivism, Cyberespionage, Ransomware and malware exploits are all on the rise, Mantix4 has won the Most Innovative Threat Hunting Platform from our magazine. They won after we reviewed nearly 3,000 InfoSec companies, globally, because they are an innovator on a mission to help stop breaches and get one step ahead of the next threat, proactively,” said Gary S. Miliefsky, Publisher, Cyber Defense Magazine. Due to the shortage of IT and cybersecurity personnel, it is more important than ever to work with a solution that can turn virtually anyone into a threat hunter with minimal training. Mantix4 was designed to cut through noise and clutter by proactively identifying and prioritizing abnormal patterns and behaviors threatening a network. The technology allows anyone within an enterprise setting the ability to predictively, proactively and forensically identify and remediate dangerous cyber threats before reputations are tarnished and money is lost. Mantix4 founders, John Stubbs and Chris Dodunski, have a combined tenure of 50-years in the cybersecurity and defense industries. “Cyber attackers are becoming increasingly sophisticated and well-funded, and we knew it was vital to develop a platform that utilizes white hat hacking to lure, expose and eliminate threat actors before they detonate and cause serious harm,” said Chris Dodunski, CTO and co-founder, Mantix4. Mantix4 will receive the Most Innovative Threat Hunting Platform InfoSec award during RSA 2018. The Mantix4 team will be in booth 4442 during RSA and invite all members of the press and conference attendees to get a first-hand look at the M4 solution. About Cyber Defense Magazine With over 1.2 Million annual readers and growing, Cyber Defense Magazine is the premier source of IT Security information. We are managed and published by and for ethical, honest, passionate information security professionals. Our mission is to share cutting-edge knowledge, real-world stories and awards on the best ideas, products and services in the information technology industry. We deliver electronic magazines every month online for free, and limited print editions exclusively for the RSA conferences and our paid subscribers. Learn more about us at http://www.cyberdefensemagazine.com. CDM is a proud member of the Cyber Defense Media Group.